Bozedown Black Velvet is a very well grown female who has conformationally correct and balanced in her frame. 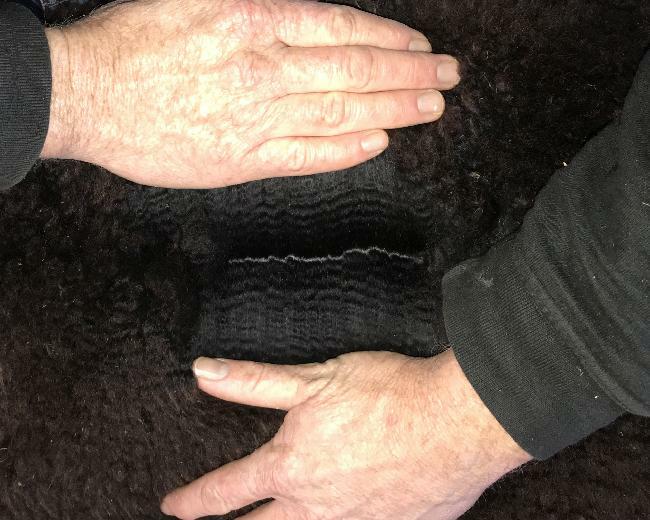 Her fleece exhibits good density and uniformity of fineness throughout the saddle and up into the neck region. The fibres are not only uniform in micron, but very bright and together this offers a very soft handle. Having some leading grey bloodlines in her pedigree, we have bred her to our leading grey sire and National Show winner, Inca Grey Jameson. 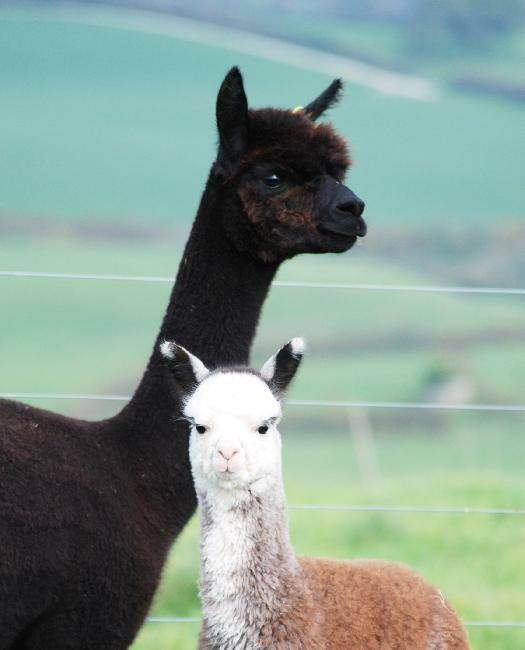 Now scanned pregnant, Bozedown Black Velvet offers the very latest grey genetics for a fair price. 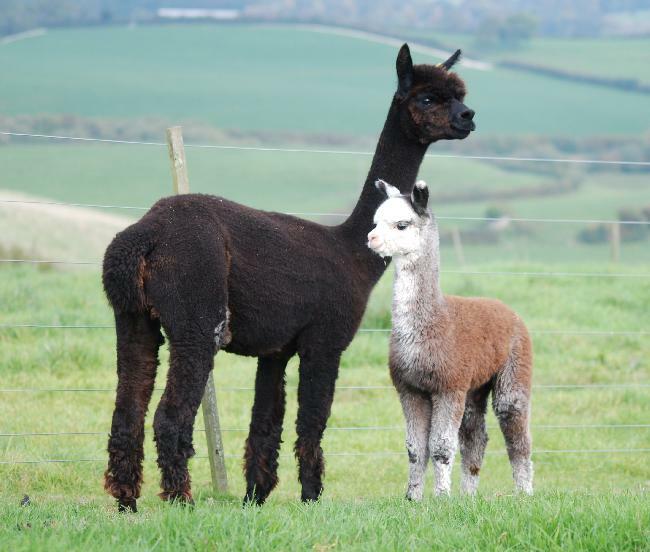 Cria at Foot: The cria at foot is a stunning medium grey male sired by our champion sire Inca Grey Jameson. This little male has all the makings of growing into a very useful stud. Conformationally he is upright and correct and his fleece is fibe, very dense and bright.